The entire angelic realm wants you to know that joy is your birthright. You truly can have whatever it is your heart desires. For it is when you are centered and calm, and at peace with who and what you are that you can offer the best of yourself to the rest of the world. As you let your own light shine, you unconsciously give others permission to do the same. 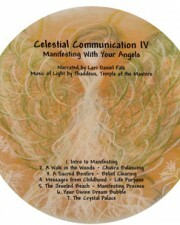 This beautiful celestial journey is designed to assist you in manifesting the life of your dreams.